The successor to Rovio’s immensely popular Angry Birds franchise will be called ‘Amazing Alex’ and will be based on the iOS game Casey’s Contraptions, launching in the next two months. 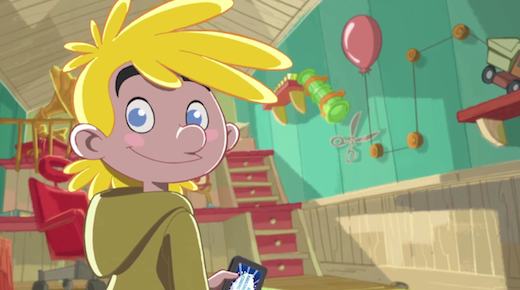 Rovio CEO Mikael Hed told presenters on Finnish TV channel Yle that the game will feature educational elements and revolve around the main character Alex, ‘a curious young boy who loves to build things’. Hed said that the “quality pressure is high” and that the company wants “to maintain the high standard Angry Birds fans have come to enjoy,” referring to the huge success of the catapult-based franchise and its 1 billion+ cumulative downloads. Yesterday, we reported that Rovio had confirmed the acquisition of IP rights to Casey’s Contraptions from developers Snappy Touch and Mystery Coconut.